The world's best margherita pizza is made not by an Italian chef, but by a Lygon Street pizzaiolo after he was named in the World Pizza Championships in Parma, Italy. Johnny Di Francesco, owner of 400 Gradi in Brunswick, won the specialita traditionale garantita (STG) pizza prize for his margherita pizza on Friday. The competition drew 600 entrants from 35 countries, including six from Australia. Mr Di Francesco described his trophy as "like an Olympic torch" and was thrilled with the win on his second attempt at the prize. STG is a European Union gazetted standard for traditional dishes to ensure their integrity. 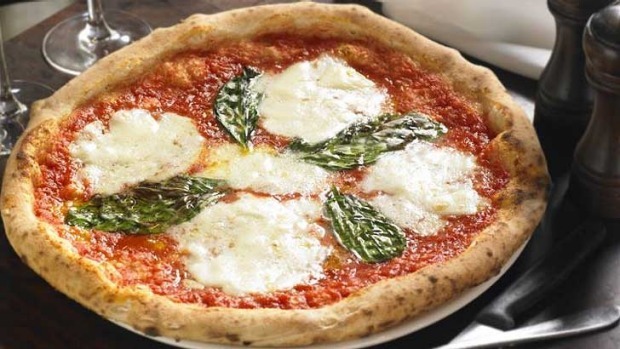 A margherita pizza must be less than 35 centimetres in diameter, with a raised edge of less than two centimetres and must be cooked in a wood-fire oven. Only peeled tomatoes, certain mozzarella types, garlic, a little olive oil, salt and fresh basil leaves can be used. "A lot of people think it is easy to produce a margherita but it is one of the hardest to produce in the world," said Mr Di Francesco. "The balance of the ingredients and the quality are so important. With a lot of other pizzas it is easy to mask the flavour with toppings so you don't really get the flavour out of the dough. "With a margherita there is no hiding anything that isn't right," he said. 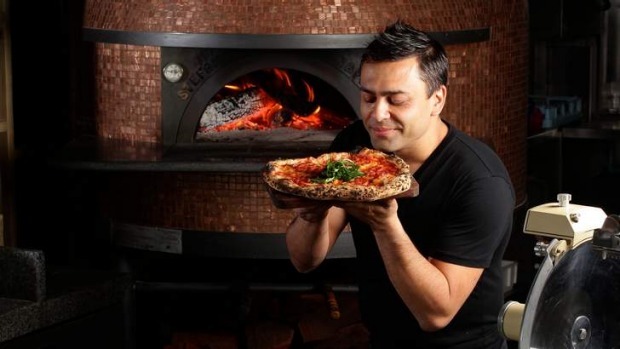 Mr Di Francesco, who trained with the prestigious Associazione Verace Pizza Napoletana in Naples, sourced his ingredients in Italy but counted himself lucky that he was able to use the same flour as he uses in his Brunswick and Docklands restaurants. He also accurately predicted when he would get a chance to cook his pizza. "Timing is a really important factor when making dough," Mr Di Francesco said. "It is a guessing game [in competitions] as to when you will get your chance to cook it. I was able to make sure that my dough was proved enough with eight hours of leaventation. I was able to pinpoint my dough so it had the optimum time," he said. Italian pride was upheld at the championships by Bari chef Julius Scialpi, who won the the "classic pizza" prize for his pizza of stracciatella mozzarella, sauteed eggplant, nostrana, breadcrumbs and anchovies with burrata. In March Mr Di Francesco took out third prize for the best pizza maker in the world at the Las Vegas International Pizza Expo.